I’ve spent a lot of the past five weeks in bed or, more precisely, lying down in various places around the house. I was too sick with bronchitis to coil for the tick-borne infections, which meant I had a lot more time on my hands then I’m used to. I did my best to entertain myself watching episodes of Star Trek: Deep Space Nine and reading Conn Iggulden’s Conqueror series about Genghis Khan and his descendants. 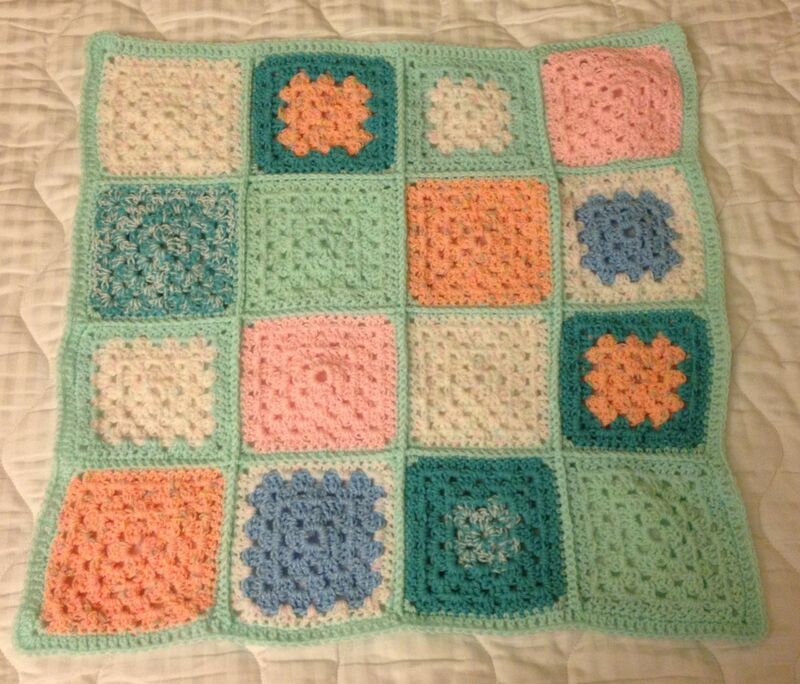 When the cough was gone and I was weak from Babesia but no longer contagious, I moved on to crocheting a baby blanket for a friend’s infant. Yet I still had more than enough time on my hands to think and think and think. I had dark thoughts about giving up and never getting better. I thought about the effects that the antibiotics had on my body, on the infection they were intended to fight, and on the chronic infections. I mulled over traditional Chinese medicine (TCM), both acupuncture, which I ended up getting, and herbs. I thought about what my life might be like if I decide to give up on having a child or what it might be like if I changed everything around to be able to produce one ASAP. I thought about why I coil, the mistakes I made this year, what I learned from them, and what I might have done differently. I thought about how I might coil in the year coming up and what it will take to get to a point where I don’t need to coil and the infections are all dormant or gone. I thought about how much my body has been through and what I need to do to finally be healthy and able to exercise and be active again. Five weeks is a long time. I wasn’t coiling. I also wasn’t eating very much. As a result, I stopped taking DIM for several weeks. Between not coiling (and letting the infections proliferate unchecked) and not taking DIM, my menstrual cycle took 5 weeks to arrive, making it officially late. The last several days before it came were torture. I was tired in a different way. I had slight night sweats and insomnia. It was akin to a Bartonella flare (which it might have been). Now I’m coiling again. I’ve got my protocols for the next few weeks. I’m on a mission to get the Babesia out of circulation, knowing that it doesn’t solve all my problems, but it does give me the energy to tackle the rest of them. I might even have some energy left over to do fun things. Starting on October 13, I’ve been coiling for Babesia using a new protocol. It followed a week of coiling using the protocol that has worked in the past to get the Babesia under control: 570Hz, 10 minutes on each of my liver, spleen and heart/chest, plus 1 minute on each part of my skeleton, over the course of three sessions in a day. After reviewing my notes from conversations with other people who coil, I decided I needed to try something different. I’ve known about two other frequencies for Babesia: 753Hz and 1583Hz. In the past I tried 753Hz for a few minutes and nothing happened: no herx reaction, no improvement. I’ve never done anything with 1583Hz because when I learned of it, the person said it was for people who got nothing out of the other two frequencies, who might have a different species of Babesia. However, I’ve had two conversations over the past 4 years that made me decide to revisit 753Hz. One person said that they had essentially gotten rid of Babesia with 570Hz, but when it came back, they couldn’t get rid of it the second time. So they used 753Hz and had a much better response for that relapse and the subsequent relapse before it went away for long enough that they thought it was gone. Another person said that they always felt better with 570Hz, but that it took 753Hz to get them into remission allowing them to finally stop coiling without the symptoms coming back. I’ve previously been able to get the Babesia into remission with 570Hz. However, this year I could never quite shake it. Partly I wasn’t doing the full protocol with the level of consistency I needed to. There is now an open question about whether 570Hz is enough. As a result, I’m on a one month plan, to be extended to 3 weeks past the last Babesia symptom, of coiling for both 570Hz and 753Hz, three times daily. I’m now 10 days into the protocol. A lot has already changed. I was feeling much better on just 570Hz, and the night sweats were gone. I was still tired every day, but by the end of a week, I no longer needed to spend a good part of each day lying down. Two days after I added in 753Hz, I had a night sweat, enough to change my shirt, but not enough to feel like I was drowning in my sleep. I had night sweats that got progressively lighter over the next several days. On the fourth day after I started, I had a massive headache with light sensitivity that lasted about 8 hours (bad enough that I wore sunglasses in the house) and heart palpitations. Since then, things have been looking up. Each day I have a little more energy than the previous day. I get tired in the afternoon, but I rest for 30-60 minutes, rather than napping for 2-4 hours. I’m still having a slight sensation in my chest that goes up to the left side of my neck, but it is minor. 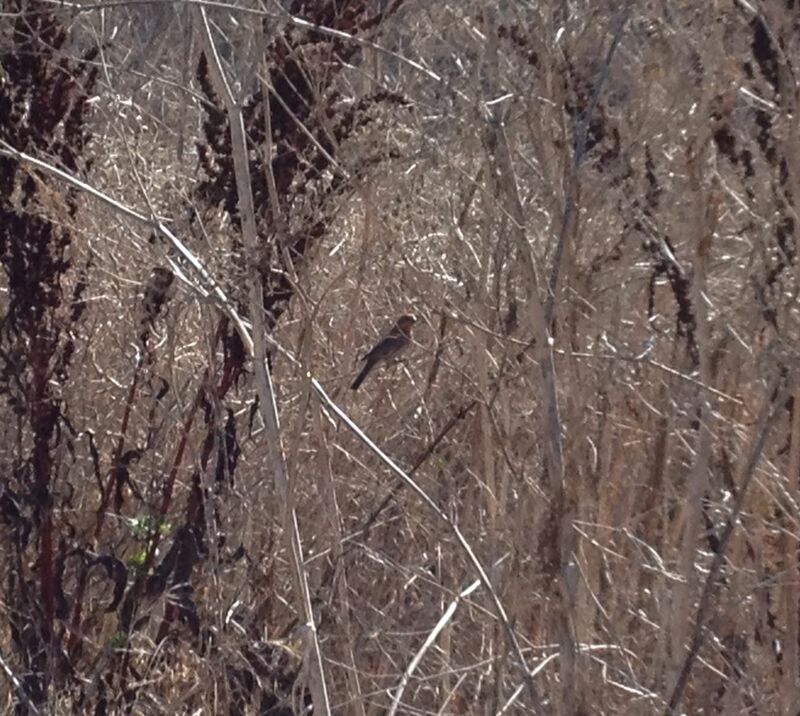 A wild, male house finch I saw on my walk yesterday. I interpreted the temporary increase in symptoms to an additional die-off from the second frequency. Beyond that, I’m hoping to be at the three-weeks past the last symptom by Thanksgiving. Having more energy has been fantastic. I’ve started to use it doing light housework, which I know I can stop doing anytime and rest as needed. I’ve also gone for walks outside. It’s nice to be able to go for a walk at all, and even better that I don’t have to lie down for hours when I return. I’ve been enjoying cooking and eating my own delicious, fresh food. I’ve finally gotten through the emails I’ve wanted to answer and I’m considering a new blog to post photos from my recent trip. My quality of life has improved tremendously. Babesia really is the key to getting my life back. Unfortunately, the other two infections, Lyme and Bartonella, have not stayed quiet in the weeks after I took antibiotics for the respiratory infection. As I notice symptoms coming on, I have done some coiling for them. For Lyme, the symptoms started with the sensation that an insect is crawling around a small area of my skin. The the area changes to a different part of my body, far from the previous sensation. The first night this happened, I had a fit. I was lying in bed, the sensations made me worry that the recent flea infestation was back and worse. But there was no way a flea could jump from my ankle to my shoulder in a split second while I was in bed under the covers. I kept checking my skin and the bed, but the only small things I could find were lint. I coiled my head, my chest and my spine the following day (and for the 3 subsequent days, until yesterday), at three minutes on each location. The tingling was gone by the morning after the first coil. I have had some other Lyme symptoms, including a headache in the back of my head, shoulder and neck pain, a dull ache on the right side of my body, sleeping 10+ hours a night and some chest aches. Mostly it seems neurological, and the chest ache could be from Babesia, but I’m hedging my bets a little. They are going away, a little more each day. After today, I’m hoping to take a few days off from Lyme and use the coiling time to get to Bartonella. For Bartonella, the symptoms are also neurological but different. I get tingling in my arms from shoulder to fingers and nerve pain in my arms. My intestines are some days okay and some days irritated. I wake up at night, hot but not sweaty, with crazy dreams. I have intermittent ringing in my right ear. My kidneys hurt and I have mild pain in my lower abdomen. I had an ugly vagal response with my very late menstrual cycle (my vision whited out but I remained conscious, and I had sweats and chills and weakness for hours after a bowel movement). My response is to coil for Bartonella when I can, hopefully more often in the next few days. The protocol for now is 6 minutes on the back of my head, 4 minutes on my sacrum, and 2 minutes on each shoulder knob as well as on my upper and central spine. I spent that month on the couch in despair. I thought through a lot of things while feeling hopeless. Rather than recount all the fine details of my distressed thinking, I’ll end with what I decided for the next phase of coiling. Last year, when the Lyme symptoms went away, I did a bunch of things that triggered Lyme flares, including adding in new foods and reducing supplements. I’m now able to function as well as I did before I made the changes. I also triggered the Lyme (and made the other infections active/more active) when I took necessary vaccinations for my trip to Mongolia. It ended up making me more disabled for weeks and months at a time. Looking back, I think the first actions to increase my dietary variety and reduce my dependence on supplements to feel okay were a good idea. The rest was a learning experience. What I’m hoping to do in the next several months is to first get the Babesia into remission (or gone would be even better). Then I’ll get the Lyme to the point of no symptoms again. Once those are done, I’ll take another crack at Bartonella and see if I can get myself to be symptom-free for an extended period of time, something I can’t remember experiencing. At that point, I’ll evaluate whether I have any other active infections to treat. I would like to be not-disabled by these illnesses for a period of time before I consider trying to trigger them again (eggs anyone?). If I’m healthier when I start out, maybe it won’t be as bad. Alternatively, at that point, I may decide that I don’t want to go through all the disability and psychological torture again, and that I can live with the infections as long as they remain dormant. Only time (and success with the coil machine) will tell. Best of luck to you in your route to reopvery! Never give up despite how bad things get. ~your fellow Lymie!